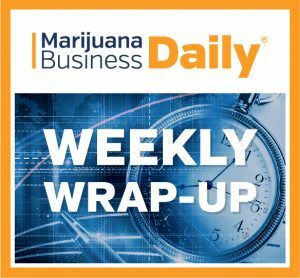 California gets federal money to combat unregulated marijuana growers, Oregon suspends its cannabis licensing process in the face of a product glut, and Michigan extends a medical MJ permitting deadline. A cannabis industry insider is suspicious after one of California’s U.S. attorneys announced plans to add $2.5 million in federal money to the state’s enforcement efforts against illegal cannabis growers. “There’s a Trojan horse component to this that keeps coming into my mind,” said Menaka Mahajan, a San Francisco marijuana consultant. Mahajan said repeatedly she’s “skeptical” of the combined enforcement effort, mostly because U.S. Attorney General Jeff Sessions revoked the Cole Memo in January. She also noted the U.S. attorney who made the announcement – McGregor Scott – is a Trump administration nominee who was confirmed in March. If federal and state officials continue targeting only illegal businesses – which Scott said is his plan – the move could benefit legal companies, Mahajan said. “I think the regulated industry will appreciate the action taken on the unregulated industry,” she said. “(The black market is) clearly undercutting their ability, because compliance costs are such a heavy lift for businesses that are trying to enter that regulated market. To alleviate Oregon’s cannabis glut, regulators have begun winnowing the backlog of applications for recreational marijuana business licenses. The Oregon Liquor Control Commission (OLCC) said that, starting June 15, it would temporarily quit processing new applications for recreational cannabis businesses until next year at the earliest. It will instead focus on processing those applicants already in line. One industry official reckons the state is positioning itself to impose a license cap, followed by a cut in production capacity. Donald Morse, director of the Oregon Cannabis Business Council, believes the OLCC will approve the licenses currently in the queue by the end of 2018. Next, when the Legislature begins its session in February, the agency will ask lawmakers to give regulators the green light to cap the number of licenses. For example, Oregon has roughly 1,000 licensed producers, with about 900 production applications pending approval. And it might not end there. The OLCC is authorized to audit and reduce the canopy size of cultivation facilities, but Morse said such a move would likely cause an uproar among licensed businesses. Businesses have urged the agency to resist taking that action until a license cap is in place, saying it would hurt their profitability, according to Morse. He disagrees with the companies’ prediction, however. Michigan regulators have yet to issue the first permanent license under new medical marijuana rules. Their decision to extend from June 15 to Sept. 15 a deadline for existing MMJ businesses to receive their permanent licenses – or close down – helped avert a disaster for the program and its roughly 284,000 registered patients. Still, the state faces a backlog of 546 applications. And its review of applicant finances has been time-consuming and “burdensome,” according to a Michigan attorney who represents applicants. “This is a lucrative industry that has a high financial bar to get into,” said Bloomfield Hills attorney Michael Stein, whose clients include growers, processors, dispensaries and transporters. State regulators, he said, are examining bank statements – including the accounts of spouses in some cases – going back three years. For some companies with other business interests, “you’re talking seven, eight, nine financial accounts, and that’s a massive amount of documents (for the state) to review,” Stein said. In one case, he noted, the state asked for explanations of every transaction exceeding $1,000 that his client had made the past three years. State officials say the 92-day extension will allow them enough time to investigate the applications and authorize licenses while ensuring that current access to MMJ is maintained. David Harns, spokesman for the Michigan Department of Licensing and Regulatory Affairs, told Marijuana Business Daily the first permanent MMJ licenses are expected to be issued at the agency’s June 11 meeting. Cali laws are a mess -expect court cases to extend another ten years. Present Laws are emergency and temporary -Not Final. 67 bills are in the assembly so this mess is going to continue unless lawmakers get it together.